This seems simple and yet it is rather complex. Your words are the foundation of how you choose to show up in life. In fact, a thought becomes a bright idea and when put in writing, words turn ideas into action. That’s powerful. Your words are powerful. Your thoughts and your words are developed in accordance to your worldview. Your family, friends, the government, media, school systems, your individual experiences, and your interaction with society shape your worldview. Beyond that, your word revolves around your personal values. Your personal values are determined by the meaningful elements of your collective worldview that matter most to you individually. Your values then shape your integrity and they drive all that you do personally and professionally. In general, integrity means the quality of being honest and fair. Here’s where things get interesting. Everyone has integrity and integrity often means something different to each of us. Since integrity is based on values that are VERY personal, you cannot guarantee that your values hold the same meaning for others. You also cannot guarantee that others have clearly identified their own values because this takes conscious awareness and actually rolling up our mental sleeves to do some deep work. This is where transparency is KEY. When I teach, coach and speak about “How to Create Marketing Messages with Integrity”, I get some resistance. People want to be real but when faced with looking at how their values influence their lives, personally and professionally, there’s often some pushback. First, some people assume I’m claiming that I have integrity and they may think that by claiming it I’m being disingenuous or egotistic. The truth is I’m not claiming to have integrity (although I do, we all do), I’m sharing a way for you and for others to tap into your own values and create integrity based businesses and lifestyles in accordance to what matters most to you. By addressing integrity, I give it energy. This calls out the absence of integrity or illuminates the clear presence of it. This creates the space to reconsider how you’re showing up in the world and let’s face it, not everyone is prepared to do the deep work it takes to own their integrity. Second, many people have not identified their core values (or have not revisited them for a very long time). This can be uncomfortable because this means the impact and messaging from media, family, friends, community, church, colleagues, government and more, have shaped worldview. This means you may not have fully embraced all that you can really be. If this realization is uncomfortable for you, it’s a good thing because you can pause to consider what really matters most and clearly identify your values instead of allowing the collective worldview to shape you and your message as if you’re operating on auto-pilot. This also means that deep work is in order to reconnect with core values and critical thinking skills. The good news is you can build upon your own values and integrity whenever you choose and often our values change. So, even if you think you’re clear about your values, it’s a good idea to give yourself the time and space to revisit them regularly. As people we are ever evolving and as such, our values and integrity will evolve too. This is crucial because business is personal and there must be an energetic alignment between personal values and business values to succeed. With over two decades of experience in the marketing and advertising arena, I’ve discovered there are three KEY elements required when tapping into personal integrity (often one or more of these elements is missing, causing a huge disconnect and impacting results or lack thereof). 1) The first element is two-fold and starts with your VALUES. Your values directly influence your integrity. You must know what you value in order to share your value and add value to the world. Once you are clear about your values you can use those values to create a personal mission statement and a professional mission statement. If your core values are not infused in your personal mission statement (how you show up in your everyday life) and your business mission statement (your big WHY for bringing value and being of service to the world) there will be an energetic disconnect that will impact your success in all areas of your life.. Once you’ve clearly identified your core values, you’ll be able to clearly tell your story with integrity. Your story will attract your ideal clients, clients who have similar values, worldview, and integrity. 2) The second element is about service and ideal CLIENTS. When you are clear about your values you’ll take action with integrity. By owning your story and being the REAL you, you will attract your ideal clients so you never have to chase not-so-ideal clients again. It’s that simple although it’s not always easy AND once you’re in alignment energetically, it will all come together. You’ll be able to clearly identify who you’re meant to serve instead of trying to force a fit based only on monetary gain. By attracting the right clients and being of true service you’ll also attract more abundance (and experience less headaches). 3) The third element is your WORD. Remember, your word is your honor. It’s true. Simply put you have to have the right formula to support your word, your worldview and your integrity. There are no cookie cutter solutions to guarantee riches or success. In fact, much of what we’ve been taught in the marketing, copywriting and advertising arena is antiquated and broken (often lacking integrity). This includes the problem, agitate and solve approach often used to manipulate clients to take action. Instead, I suggest a new approach for all communications (marketing and otherwise). I suggest using my “Challenge. Solution. Invitation.™” formula. This offers a friendly approach to all communications based on values, integrity and true service. Here’s a simple way to apply the Challenge. Solution. Invitation.™” formula to your life and your business. 1) Acknowledge the challenge. Be genuine and empathetic. Take the time to understand the challenges of your ideal client, friend or neighbor. When you fully understand and acknowledge the challenge others may be facing, you can begin to build relationships based on trust and integrity. 2) Offer a solution. Once you’ve identified the challenge you can clearly share your solution. This gives you an opportunity to honor your word by taking action to show HOW you can help. Hint: Sometimes your solution isn’t their solution. Don’t stop there. Consider your network and who might be able to help. Make connections to the right solution. with a friendly invitation, you empower them to choose the right solution (your solution or a connection to a solution in your collaborative network). Here’s the truth about integrity. Your values influence the level of integrity you possess. It’s often said that integrity is doing the right thing even when no one is watching. I believe that integrity is doing the right thing by collaborating instead of competing. There is not another you. You cannot be duplicated but you can be the best YOU possible. After all, your word is your honor and often actions speak louder than words. What are you saying and doing? Is it all about integrity or something else? Feel free to leave your comments below. What does integrity mean to you? 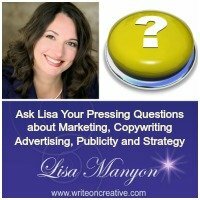 When you’d like to learn more about these philosophies and how to create marketing messages with Integrity, accept your FREE Copywriting Action Plan to discover 7 Power-packed Marketing Message Techniques to Help You Stand Apart from the Crowd, Be of True Service and Easily Increase Your Profits here. Join the conversation below by leaving a comment and feel free to hit the social media share buttons and share the love. I look forward to YOUR thoughts. This entry was posted in Copywriting, Marketing Strategy, Personal Development, Resources and Interviews	on Sunday	February 26, 2017 at 3:42 pm. You can follow any responses to this entry through the RSS2.0 feed. You can also leave a response. Isn’t it incredible how deep and broad we can go with values???? There are so many distractions around us, it’s nice to have you get us to pause and reflect on the building blocks that make up our integrity. It REALLY is. I am amazed at how often our values are overlooked. I think in part because people don’t gift themselves the time, they need and deserve, to reflect on what’s important. Things are shifting and that’s a good sign. Lisa I’m SO proud of all the amazing work you do to light the path for others. Values and Integrity are too often overlooked. Doing the right thing when no one is looking is always a great reminder! YOU Are Brilliant Lisa … Stay On FIRE! Thanks so much it for your support. It was an absolute blast playing with you at the Oregon Women’s Conference. I’m delighted that we were both panelist and so grateful for our connection. This really opened my eyes to new ways of seeing integrity. Integrity is important to me, but the way I interpret it has been, “Can I count on you to do what you say?” One of my values is dependability and it makes me crazy when people don’t follow through on what they say they will do. In reality, it may be that their value system revolves around being there for loved ones and so they are distracted by family needs. It is interesting to think of integrity as being aligned with your values rather than being aligned with other people’s values for you. Wondering how to WOW your clients? I have some ideas! I’m glad this article prompted new perspective for you. I’m really humbled that my philosophies are making such a big impact. Especially the simple, 3-Step formula to create marketing messages with integrity. Your comment also reminded me of one of my favorite books, The Four Agreements and the specific agreement to never make assumptions. When we realize everyone operates from their own value system, it makes it easier to not assume they are always going to be in alignment with our view of integrity. Thanks for visiting and leaving a comment. Don’t hesitate to leave more thoughts. I really like what you’ve written and love Baeth’s summation. My husband and I believe that if you don’t have integrity, then you don’t have direction to whatever it is you want to achieve whether it is personal or professional. When Rick ran for city council in our town, he ran on “integrity,” something that was seriously lacking in our leaders at that time. Winning with two-thirds of the vote, he was re-elected two more times and even gained support from much of the first election’s opposition. Why? Because of integrity. He didn’t use it as a power play, he just lives his life like that, as do I.
Lisa, I would like to know more about the process of the invitation. I’m intrigued what this consists of. Thanks for sharing your article! What a fantastic story about your husband and, of course, I love the platform (especially in politics). I’ve done quite a few interviews about my process so, I’ll post a couple of links here (listening to the interviews might spark something for you and if you want more info, just ask). You can find more in the Resources and Interviews section of my blog. Let me know if you have questions? I love that I’m seeing more talk of integrity and values in our online marketing world. There has always been that, underneath, but often these days it is covered up. Thank you for adding to the conversation. I”m really exited to see people speaking about this, too. When I created my self-study program several years ago, I knew it was time to talk about this and to infuse values into everything we’re doing — especially marketing (it’s fun to see the conservation evolve). It seemed as thought the “relationship” piece had fallen to the wayside for many and some were teaching not-so ethical approaches. It fun to see the concepts I outline in my program “How to Create Marketing Messages with Integrity: Attract Your Ideal Client With Your Authentic Voice” creating such a buzz. Those who have experienced the program and reporting BIG transformations and that makes me smile. I absolutely agree with EVERYTHING you posted here! We are inundated with information that, unfortunately, is more focused on getting our $$$ than our trust. I’m thankful that you clearly and practically outline ways to bring integrity AND service to the forefront. Understanding our personal core values is vital to speaking with clarity to the people we serve. Thanks so much for your thoughtful response. I really appreciate your point of view and it’s more confirmation that I’m on the right track with this messaging. What kind of “values” work have you done? What have you found most helpful? I can sense when people have he same definition of integrity as me. As you said it means different things to different people. I stick with like minded people. YES! It’s about trusting your intuition and sticking to your values — exactly why I value you. 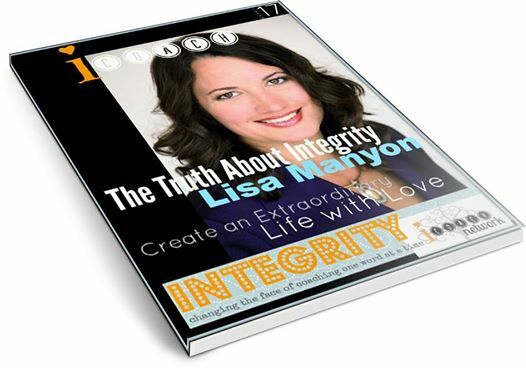 Lisa, I am so glad you address the importance of integrity in today’s work world. I think we seek out both transparency and authenticity more than ever. Congratulations on your magazine cover! I think it’s a topic we need to discuss more openly so others can identify or re-evaluate their values. I firmly believe that values equal value. I agree with Jessica. This is why I choose to surround myself with people who have these attributes. Who we surround ourselves with is vital to maintaining and strengthening integrity. Brilliant Lisa. So simple and yet a profound shift from the marketing focus and teachings over the last several years. Aligning a marketing message with the values of the business and owner is the only way to build long term and sustainable success. Thanks for the inspiring message! Thank you for your thoughtful comment. After working with hundreds upon hundreds of clients, I’ve found that being clear on your values and infusing them into all business practices helps increase success. It’s rewarding to see my clients exceed their goals when applying these concepts. Such an important topic! This really resonates with me: “integrity is doing the right thing even when no one is watching” ! Thanks so much. I’m honored and humbled to be featured. I am glad the article resonates with you and then again, I am not at all surprised. You walk your talk. I really enjoyed this article. I so agree about the importance of integrity. I also believe being connected to your values will help you when it comes to living from a place of integrity. Thanks Lisa. Yes, I believe integrity is driven by our values. That’s why it’s so important to be aware of what motivates others. It’s all about differing world views and perceptions and how we can all come together with a better understanding of what is right for the greater good. Great article, Lisa! I agree, integrity is one of the finest qualities a person can have. Life is much easier when we’re in alignment with our true selves and take action from a place of love instead of fear. Thank you! Loved the article Lisa! My central definition of integrityis being the same on the inside as you are on the outside. It calls me into being willing to share what’s going on underneath the surface (allowing for greater intimacy) and to be authentic, no matter what. Thanks for sharing your wisdom with the world! I love your definition and agree that it’s vital to be consistent on all fronts. Great post Lisa. You spelled out integrity in a way that your article could be brought into a business meeting and used to set standards and invoke important conversation about the business culture as well. It’s funny that you say that because I believe I should be teaching this and my philosophies on how to create marketing messages with integrity to corporate communication teams — especially B-corps (benefit corporations). Great article Lisa… You’ve done an excellent job capturing and teaching deep and rich concepts with clarity and applicability! Feels great to see my own organically hard-earned philosophy and business style reflected back and being taught so powerfully to the masses! Great minds think alike and the more energy we can give these philosophies the stronger our marketing and business culture will be. Integrity is one of the three points of the “Magic Triangle of Ethical Business Success” that I’ve been speaking and writing about since at least 2002. The other two are Honesty and Quality. Keeping these three front and center is key to long-term business success.